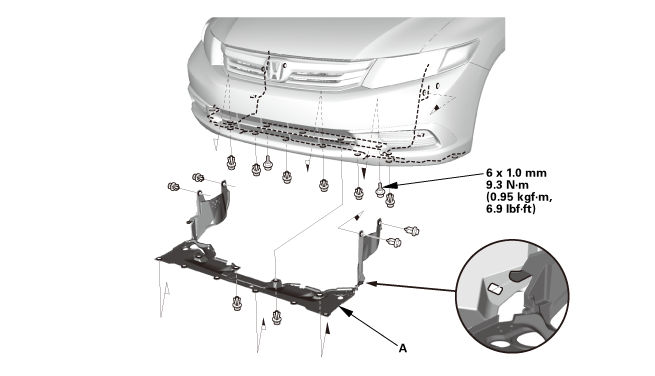 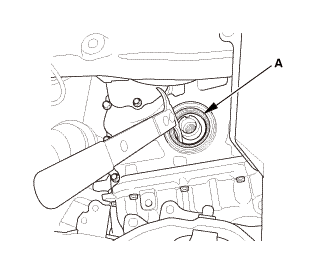 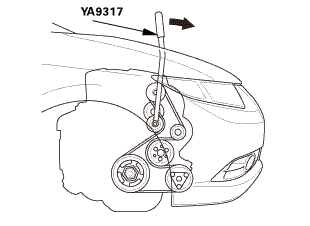 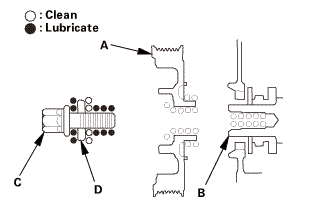 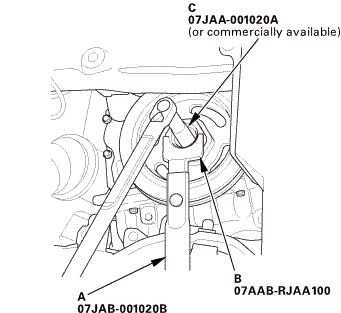 Remove the chain case oil seal (A) using a commercially available pry bar. 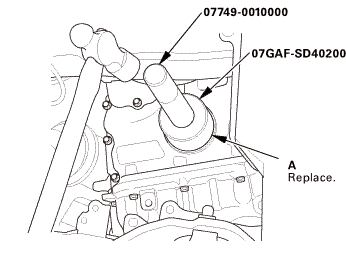 Apply light coat of new engine oil to the lip of the chain case oil seal. 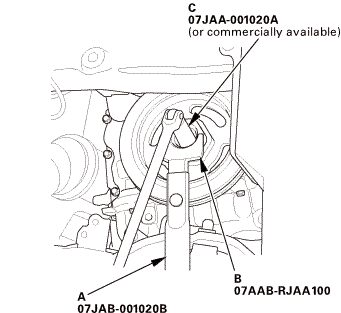 Use the driver handle 15 x 135L and the hub dis/assembly tool, 42 mm to drive a new oil seal (A) squarely into the chain case to the specified installed height. 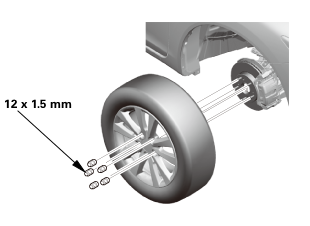 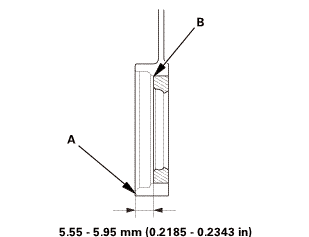 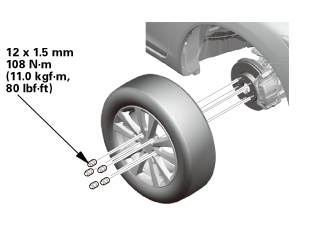 Measure the distance between the chain case surface (A) and the oil seal (B).